Note: these photographs were taken in 2006, after the cleaning of 1992. 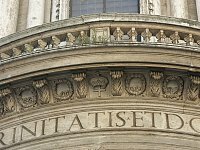 See my earlier page on this church to note the difference. 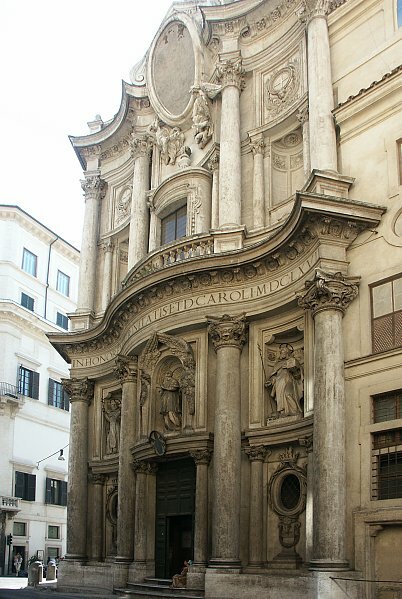 Dedicated to St. Charles Borromeo and the Holy Trinity, this church was Borromini's first independent commission, although the building history is long, with the upper part of the facade completed only after Borromini's death. 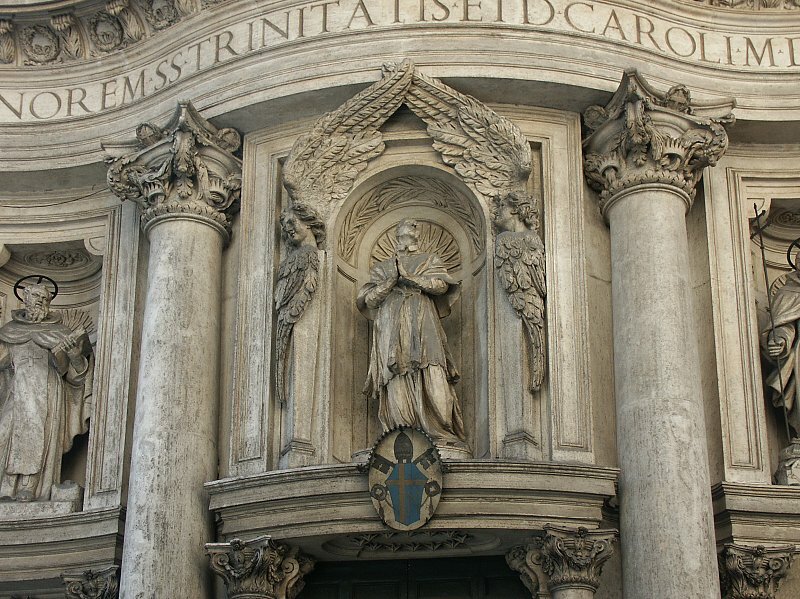 This was also the first church in Rome dedicated to Charles Borromeo, who was canonized in 1610. 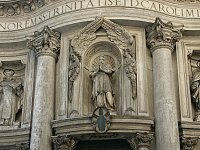 The church was commissioned by the Spanish Trinitarian order of monks ("discalced" or shoeless), an order which raised money to ransom Christian captives. Borromini designed the adjacent monastery four years before he started work on the church. 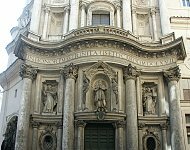 Because the church is small it is sometimes referred to in the diminutive: San Carlino alle Quattro Fontane. 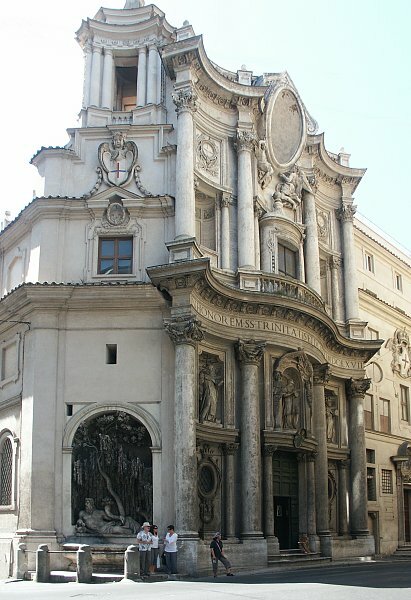 The main facade, with three bays, facing the street, and the second facade (see above), a narrow bay at the corner with its own tower, were designed years after the interior was completed. 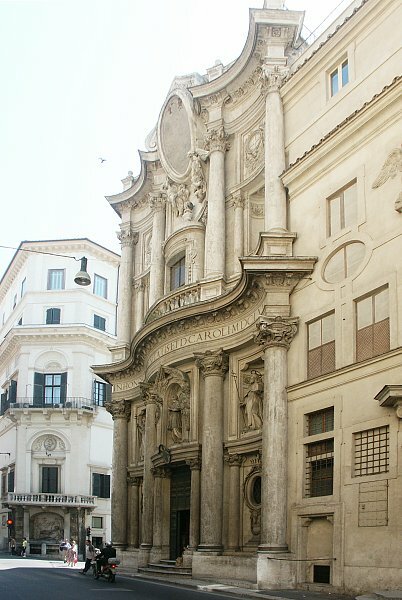 The facade is divided into two levels. The facade had apparently reached the level of the main cornice at the time of Borromini's death. 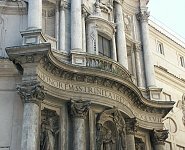 Most sources believe that the top heavy look of the top half is a result of Borromini's nephew's taking over the project in about 1675-77. The lower story has three bays, two outer concave bays and a convex center. The upper story has concave bays. 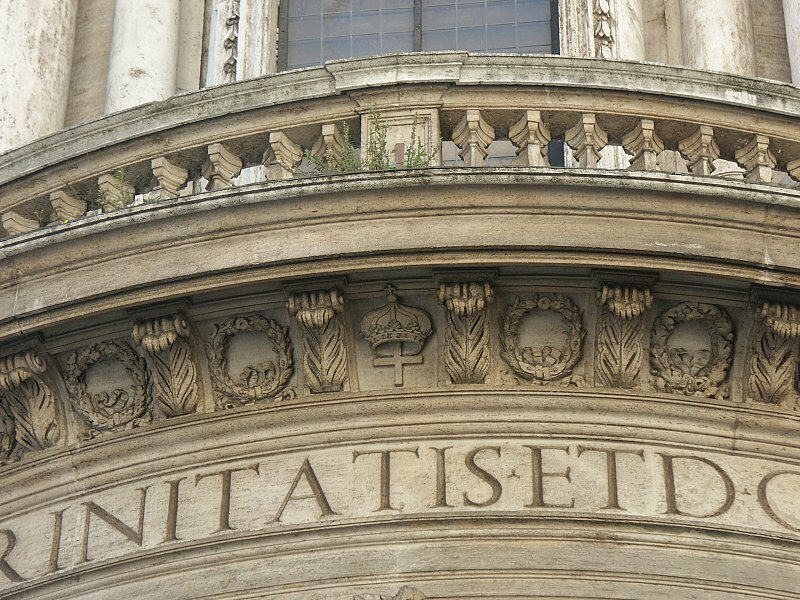 Whereas the lower bays are united by the continuous entablature, the upper bays have an entablature in sections, the central one with the oval medallion swinging forward. 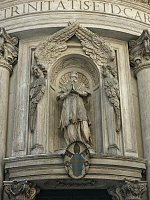 Angels, asymmetrically placed, hold the medallion which has an onion-shaped crown. 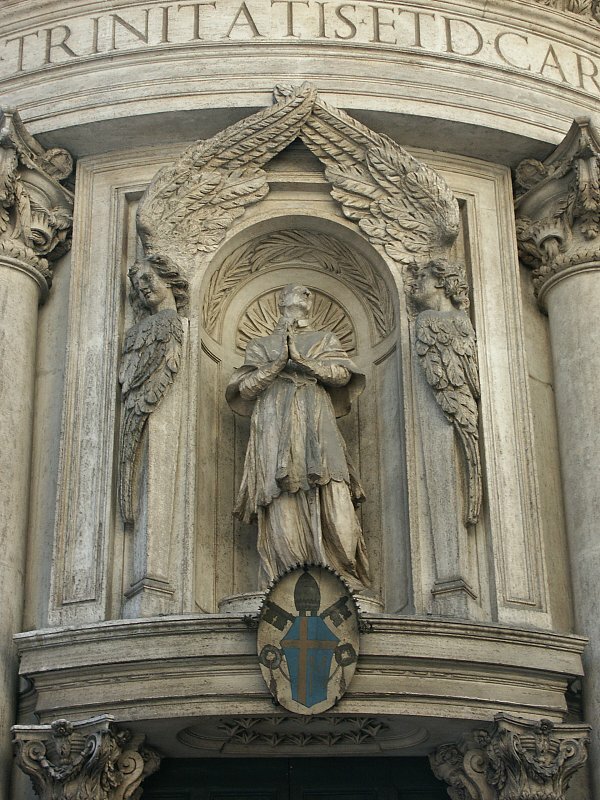 The central niche above the portal is occupied by a statue of St. Charles Borromeo by Antonio Raggi; on the sides are statues of the founders of the Trinitarian order, St. John of Matha and St. Felix of Valois. The enormous cornice, topped with a balustrade, has consoles like palm fronds alternating with foliate wreaths. 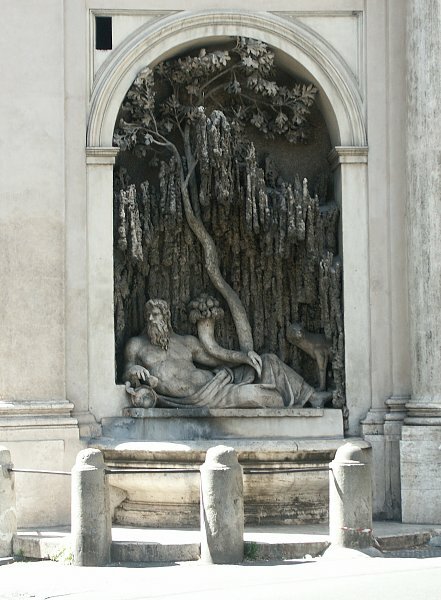 The top of the niche is formed by the wings of two angels. 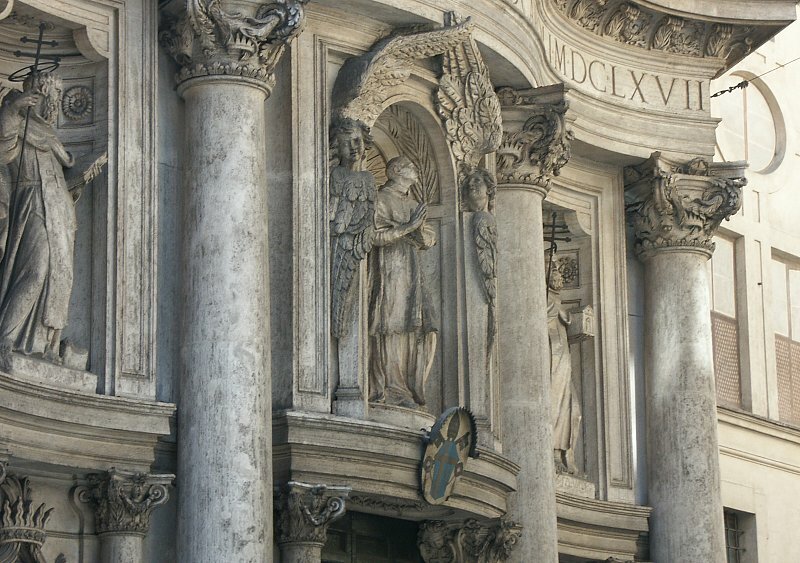 Borromini's angles/putti are more typically heads with wings rather than naked cherubs with wings.